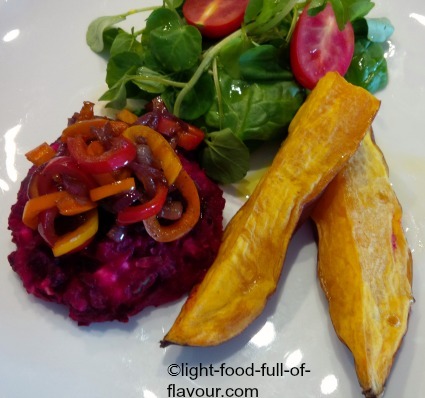 Let me introduce you to some fantastically tasty, light and healthy vegetarian recipes – including vegetarian chilli recipes and sweet potato recipes. 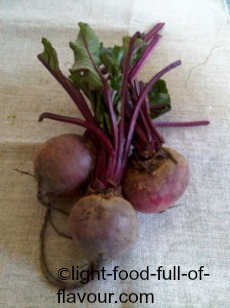 Take a look at my Quiche Recipes as well as Salad and Soup recipes for more vegetarian dishes. 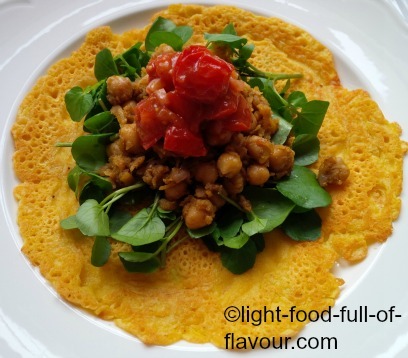 Tasty gluten-free socca pancakes, made with gram flour, which I serve with a spicy sweet potato and chickpea stir-fry. Allow me to introduce you to a vegetarian curry with an attitude. This curry needs no meat to make itself heard - it's full-on full of flavour, without the calories. This rich, seductive oven-roasted tomato sauce/soup is a total showstopper. 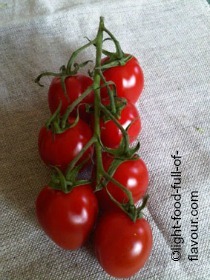 Eat it with pasta or thin it out with a bit of water to make an utterly delicious soup. 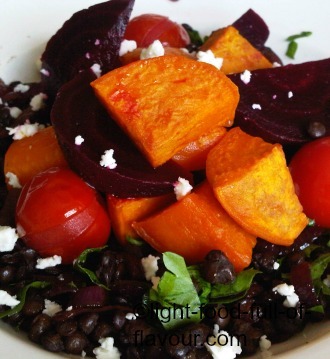 Earthy puy lentils combined with the intense flavours of beetroot, sweet potato, butternut squash and red onion. Absolutely divine! 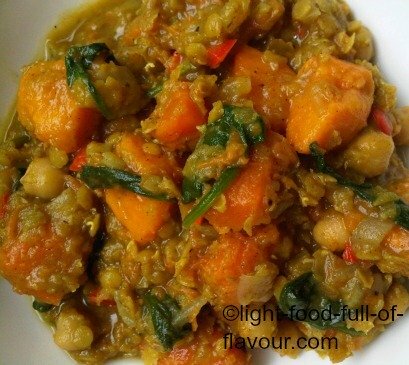 A delicious Sri Lankan vegetable curry which is quick to cook once you have prepared the ingredients. 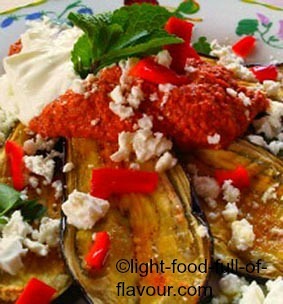 Prepare to be blown away by the amazing taste of this aubergine (eggplant), tomato and chilli lasagne. 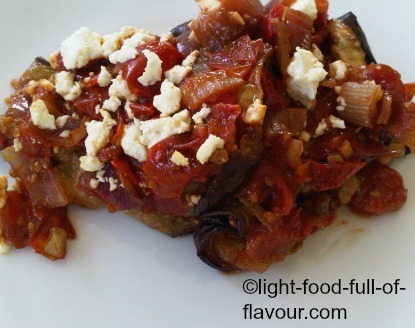 This vegetarian dish will please many a carnivore as well. 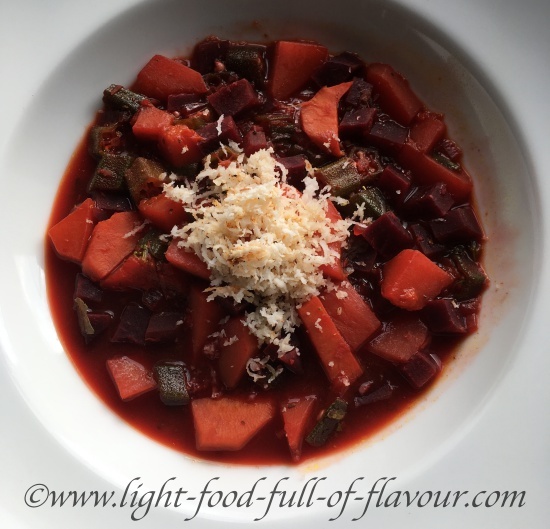 Are you looking for an easy recipe? 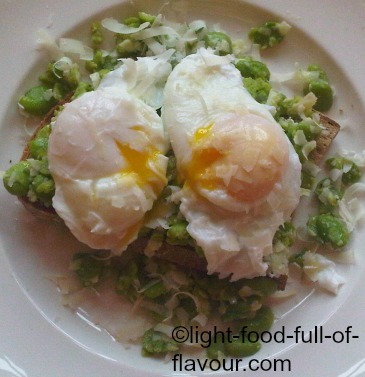 This Oh-So-Tasty and Healthy broad beans (fava beans) recipe is ideal for either lunch or dinner. 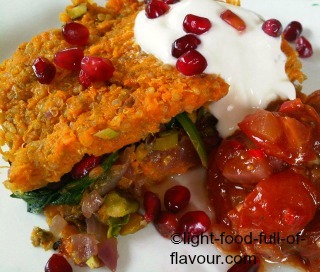 Vegetarian beetroot and chickpea burgers which are really juicy and tasty. 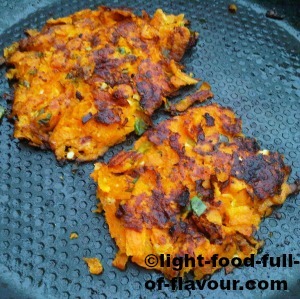 I serve them with sweet potato wedges and caramelised red onion and peppers (bell peppers). Yummy! 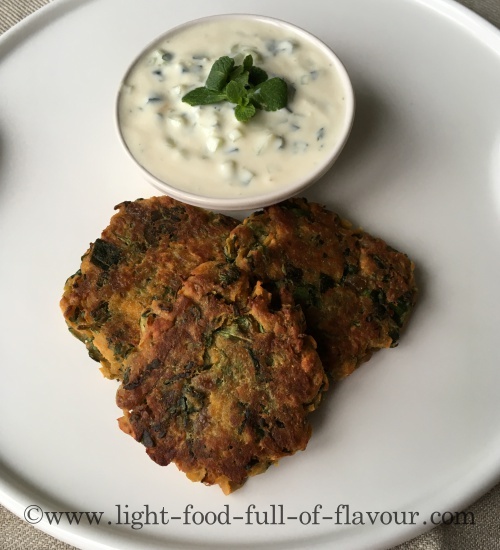 Delicious Asian-style food - spicy Indian fritters with sweet potatoes and spinach. 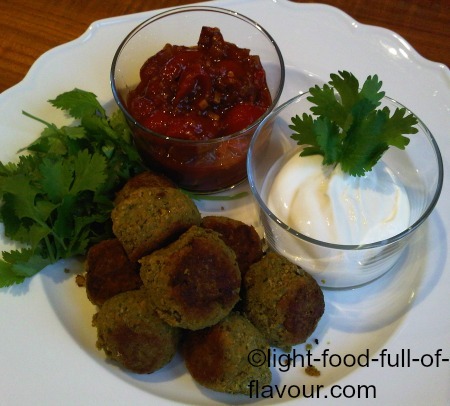 These Indian falafels are moist and bursting with flavour. 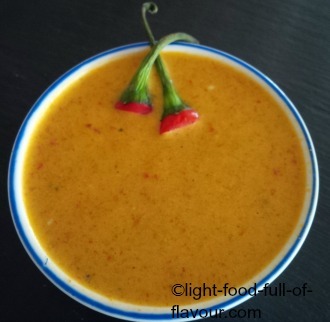 This is a recipe for a super-delicious Thai-style curry sauce which you can use to make a vegetarian curry, a fish/prawn curry, or a chicken curry. The sauce is also great to freeze. 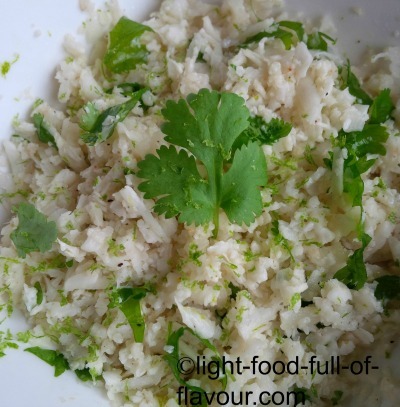 Incredibly tasty and healthy cauliflower rice is the perfect accompaniment to Asian-style food. 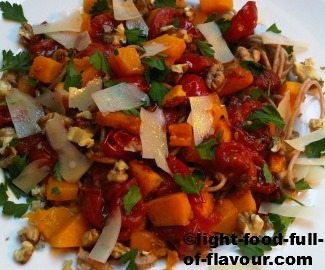 This butternut and walnut pasta is a stunner of a dish – both tasty and healthy. 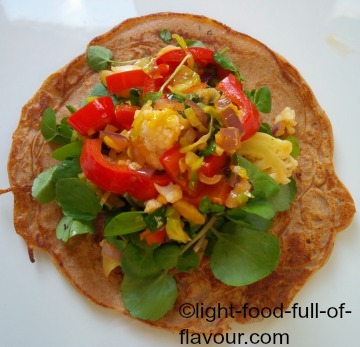 Savoury buckwheat sweet potato crepes with stir-fried vegetables - a super-tasty vegetarian meal. 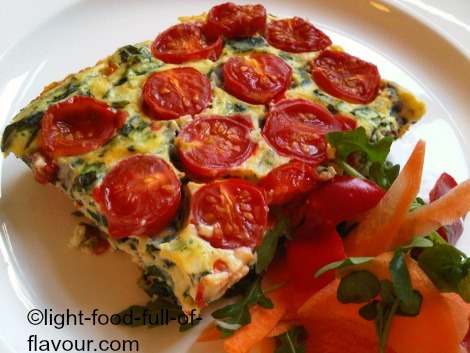 A spinach tomato ricotta bake which is just as tasty eaten warm or cold - perfect for a light lunch/supper or a picnic. 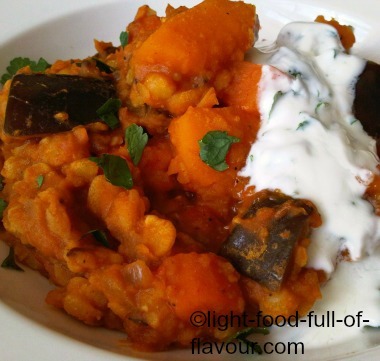 A super-tasty, healthy and spicy coconut dhal - proper Asian-style comfort food. 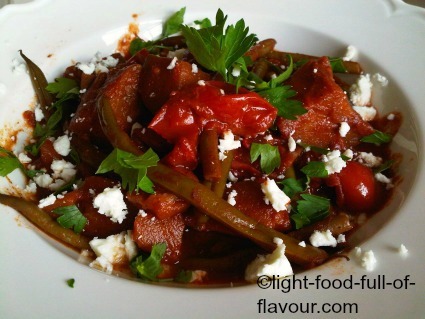 A rich and full-flavoured aubergine green bean tagine served with parsley and feta cheese. 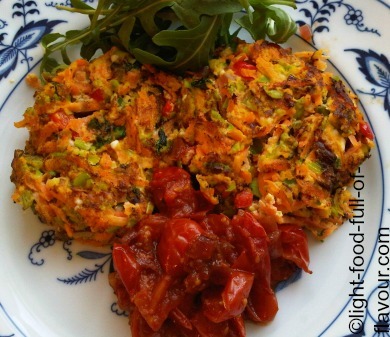 Scrumptious and healthy carrot and soybean fritters that are served with delicious oven-roasted tomatoes. 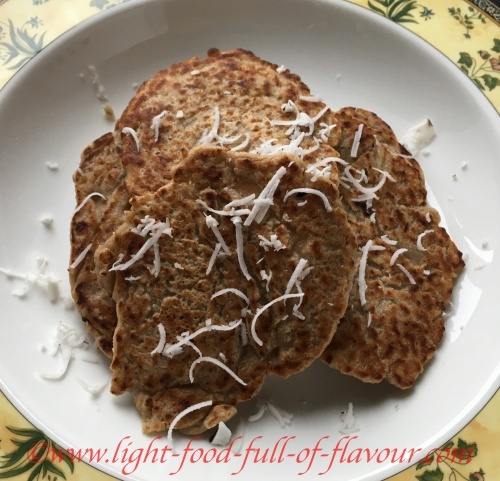 A fantastically tasty and healthy bake. 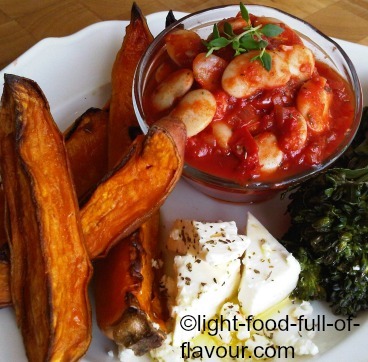 Delicious beans in tomato sauce served with oven-roasted squash and sweet potato wedges and feta cheese. 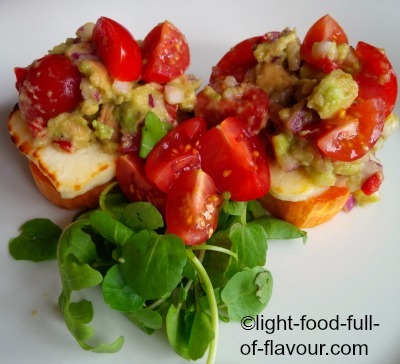 Sensationally tasty sweet potato halloumi stacks with guacamole which can be cooked on a barbeque or in the oven. 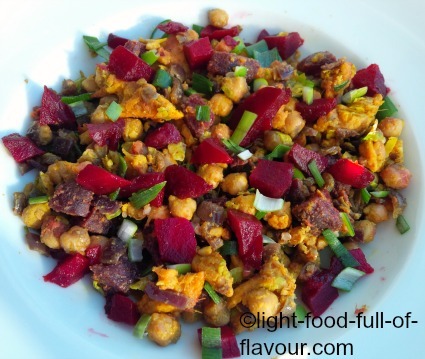 I love this delicious, filling and healthy vegetarian stir-fry. 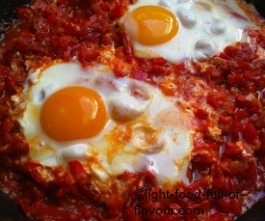 It is bursting with flavour and low in fat. I suggest eating it together with quinoa and a salad. 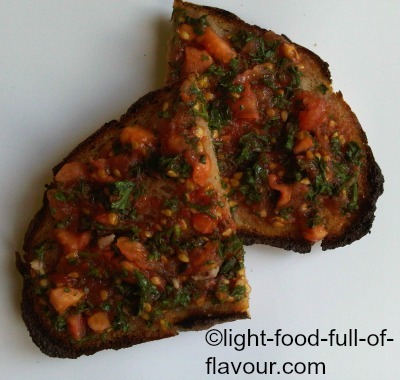 Utterly moreish toasted sourdough bread with tomatoes and garlic that is perfect to eat with soup and salad. 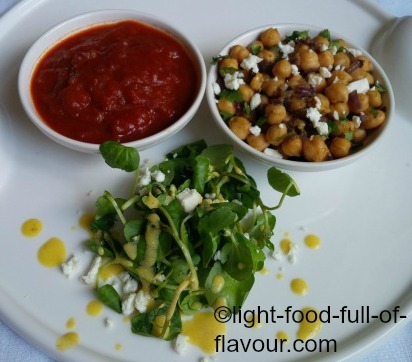 I like to eat these yummy chickpeas with cumin, garlic and feta cheese together with a tomato salsa or sauce, roasted vegetables and a salad. 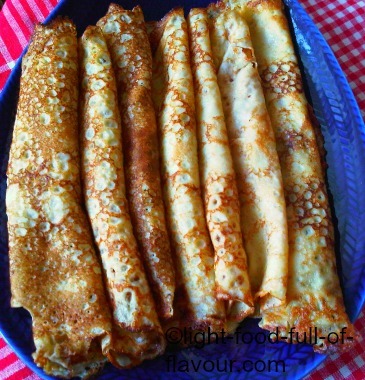 I am mad about pancakes in general but I am particularly fond of Swedish pancakes, thin like crepes and made with lots of eggs. 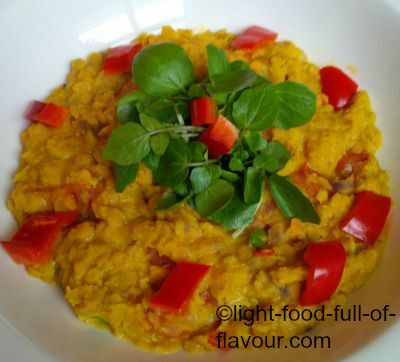 Asian-style comfort food - a luscious Indian dal with yellow split peas and vegetables. 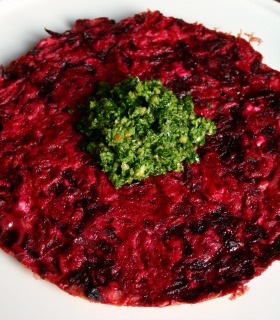 A healthy and mega-tasty beetroot frittata served with a kale and spinach pesto. 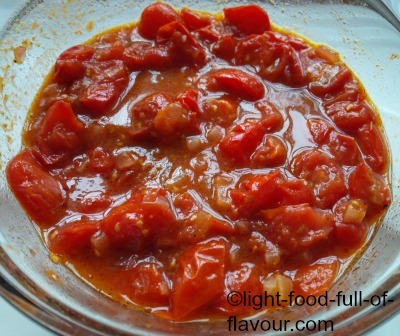 I have placed this spicy tomato and pepper dish under breakfast recipes as I think this is great to eat as a late breakfast - as a brunch with a punch!